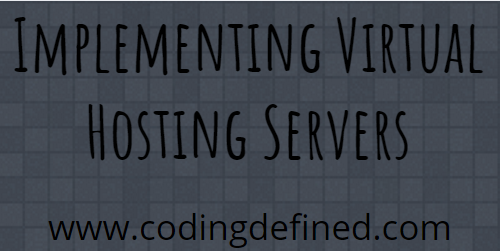 In this post we are going to learn about implementing virtual hosting proxy server in Node.js. A proxy is a way of routing requests from several different sources through one server whether its for caching, security or anything else. Virtual Hosting allows a single proxy server to host multiple domains and ports on a single IP address and port. Assume for a case, a few pages which are not openly available and somebody attempt to get to that, the page will be diverted to some other page. This sort of proxy is likewise called a forward proxy. A reverse proxy is a method for controlling how requests are sent to a server. For instance if a site is open by a huge number of client then to adjust load a portion of the requests will be diverted to some particular server, along these lines enhancing the general execution of the framework. Save the file and run all the servers. Now when we run the command curl -X GET -H "Host: app1" http://127.0.0.1:8010 it will give us the result as This is app1 i.e. first_app. Thus we have successfully implemented virtual hosting proxy servers in Node.js.